Today we will review the Women’s Callaway Rogue Driver which is one of the best drivers on the market for ladies. It’s key benefits are an increase in your ball speeds while also being more forgiving. 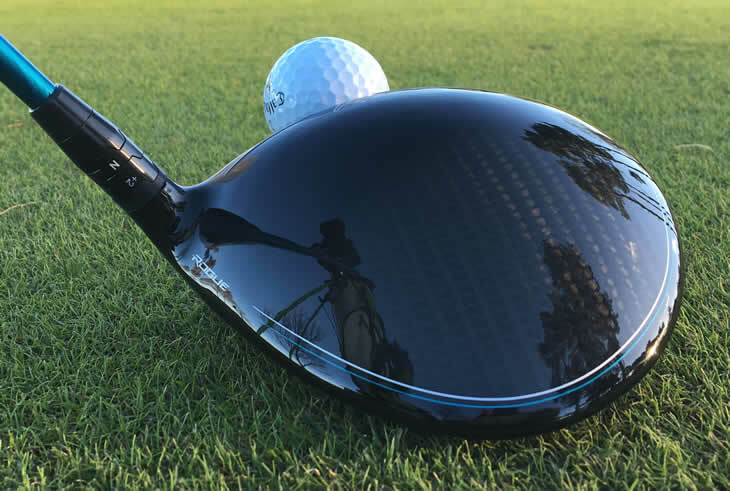 This will result in longer drives and more drives staying down the middle thanks to the technology that Callaway has packed into this ladies driver. The Women’s Callaway Rogue Driver generates one of the fastest ball speeds among all ladies golf drivers. 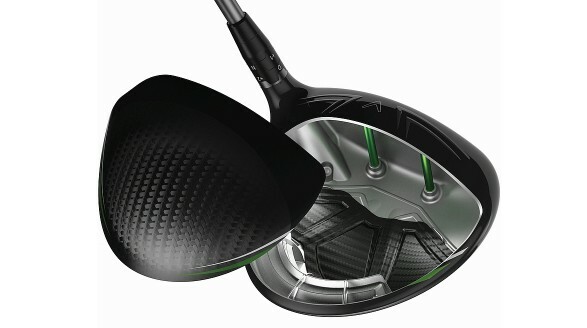 This is due to the new jailbreak technology Callaway has added to their drivers and fairway woods. Jailbreak technology is two lightweight but strong titanium bars that got inserted behind the face to connect the crown and sole of the club head together. This strengthens the face overall to deliver more power into the golf ball and combined with faster ball speeds, you’ll enjoy hitting longer drives on the golf course. For lady golfers, getting longer distance off the tee often comes down to launching the golf ball higher to get more carry distance. The Callaway Rogue driver suits this perfectly as they have redesigned the weight system in the driver, shifting more weight back and low in the club head to increase the MOI for better golf ball launch at impact. Callaway has used variable face technology for awhile in their driver faces but this new version is much lighter and thinner around the perimeter of the face with a slightly thicker middle. The X-Shape VFT pattern on the face helps increase the sweet spot and make this one of the most forgiving drivers for women golfers. The head on the women’s Callaway Rogue driver is 460cc. It’s also using a carbon crown to save weight and the speed step crown makes it more aerodynamic to produce faster swing speeds. You’ll have your choice of 4 stock shafts. The lightest shaft is the Aldila Quaranta at 40g, then the Aldila Synergy, then Project X EvenFlow and then the heaviest Project X Hzrdus at 70g. Is the Callaway Rogue Ladies Driver Adjustable? Yes, the hosel has adjustable settings so you can change the loft of the Rogue head by 1° using the Optifit hosel. For example, if you deloft the head you can create fade bias. How Much Does the Women’s Rogue Driver Cost? Currently it retails for $399. This makes it one of the more expensive drivers on the market but the technology and benefits you’ll see in your golf game will make you glad you purchased it. We always believe your driver and your putter are the two golf clubs to spend the most money on for they’ll impact your scores the most! Alternatives to the Women’s Callaway Rogue Driver? Overall, I would rate this as one of the best women’s golf drivers. It has an expensive price tag to back up the quality and performance benefits you’ll be getting. The jailbreak technology adds the two titanium bars behind the face plate to help you smash longer drives of the tee. The weight has been shifted around in the driver head to create higher MOI across the entire face making it one of the most forgiving women’s drivers. The lady blue color scheme and design of the driver is professional and the head shape is more aerodynamic to increase club speed. Lastly, the face technology helps deliver more energy to the golf ball and thus faster ball speeds! I would recommend this driver as the front runner but again, you can also check out the other Callaway Women’s driver options listed above in the section. Thanks for reading our review of the Callaway Women’s Rogue Driver. Make sure to check out our resources below that golfer’s love following to improve their scores quicker. We’ve helped thousands of golfers and look forward to helping you too!